Two Days of Story Telling - Friday, March 4th, 4:00 to 7:00 pm and Saturday, March 5th, 10:00 am to 2:00 pm. This will be our first jaunt into North Carolina and we're excited. 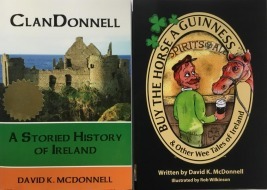 We'll be telling stories of Ireland within shouting distance of the Atlantic Ocean. The last time we saw the Atlantic was from the west coast of Ireland. This might be a different perspective. 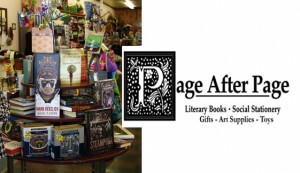 Our venue is at Page After Page Bookstore in Elizabeth City. We're already featured on Page After Pages' Facebook page. The schedule suggests seven hours of story-telling, which might be beyond ClanDonnell's endurance level. We think we might intersperse some stories between one-on-one friendly meetings with patrons and a few book signings. We will, though, be thoroughly prepared with a vast repertoire of stories. 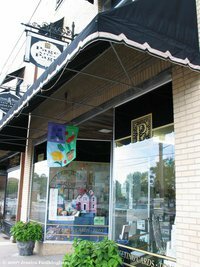 Friday night was First Friday Art Walk in Elizabeth City, and ClanDonnell was the featured artist at Page After Page Bookstore. Saturday was pure storytelling, and ClanDonnell told a few doozies.